All BottleLess.com water coolers come with a powerful water filtration system that is certified for 1,200 gallons. This system takes care of lead, chlorine, cysts, bad taste and odor reduction all in one commercial grade cartridge. However, if you live in an area where there is higher sediment in the municipal water (like New York City), you may want to consider upgrading to a dual-stage twist-off purification system. 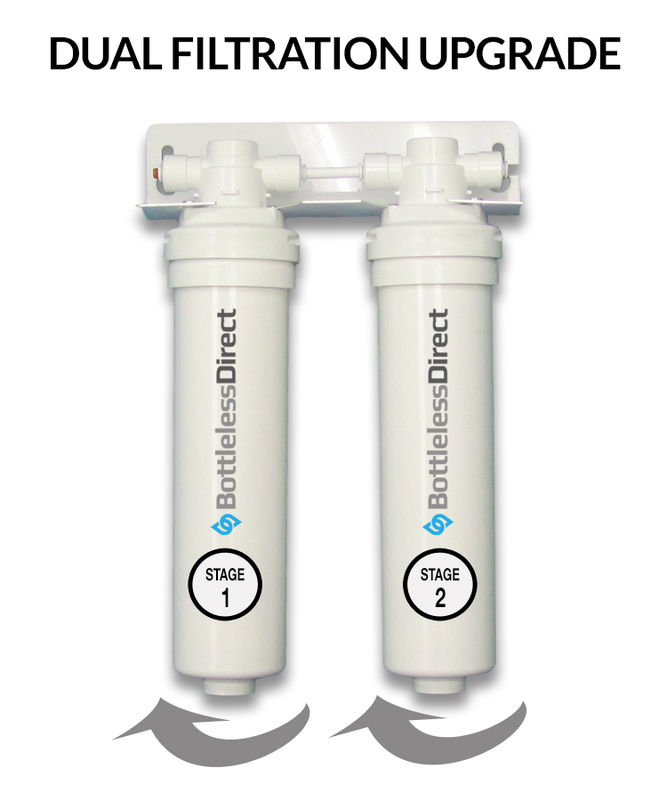 A Snap To Change The BottleLess.com Twist-Off Purification System is the ultimate user-friendly filter on the market. Replacement of the cartridges takes seconds and a twist of the wrist. No drips. No hassles.